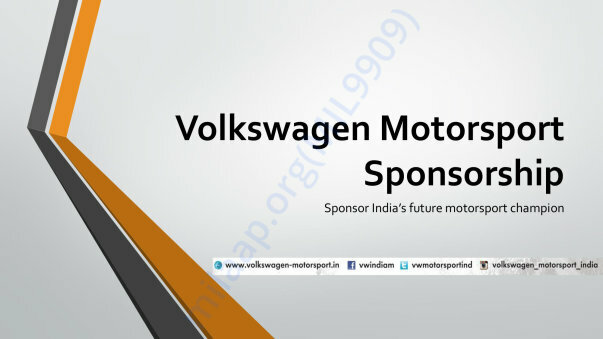 This fundraiser is for sponsorship needed by me to participate in the Volkswagen Ameo Cup 2017. 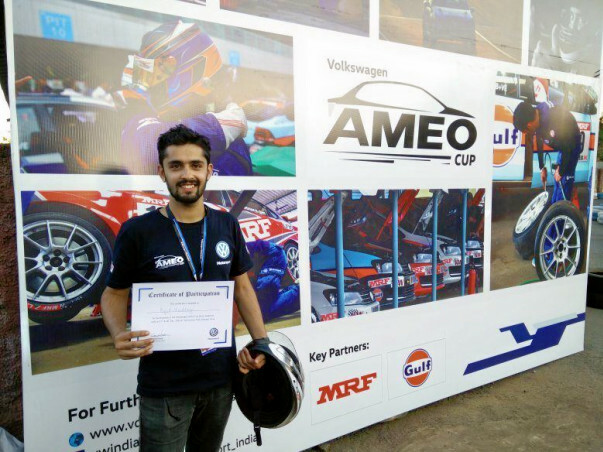 The Ameo Cup is a national level single seater car racing event organized by Volkswagen Motorsport India, takes place in India every year. 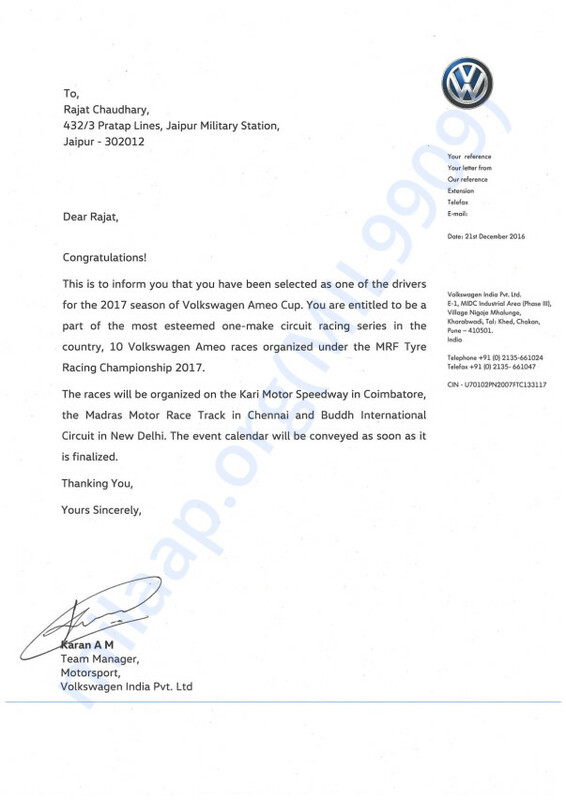 It is my dream to represent our nation, India at an international level in Formula One racing. Just like my father contributing for the country by serving in the Indian Army, i am highly inspired and motivated to contribute for my nation by pursuing my career in car racing. I am one of the short listed candidate from over 500+ applicants coming from all over the country.Because of my passion for racing and my consistent hard work I believe in myself that i can do this but only with your support (fund raising) This racing cup is the best platform i could get in order to fulfill my dream. Support India by supporting me. Support India's future motor sport champion.